Hybrid Camera Revolution: Super 35 camcorder prices continue to fall - 240fps Sony FS700 now $4999! 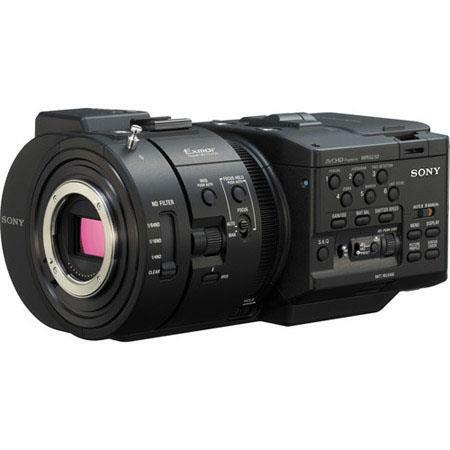 Super 35 camcorder prices continue to fall - 240fps Sony FS700 now $4999! First generation large sensor camcorder prices continue their steady march downward. First, the Sony FS100 dropped to $2499. Then the Canon C100 dropped to $2999. Recently, the Panasonic AF100's price was slashed to $1999. Now, it's the Sony FS700's turn with a $1000 drop to $4999. If you don't need 4K or RAW right now, but want a very capable slo-mo camera with built-in NDs, SDI out, XLRs and great low light performance, this might be a good opportunity to pick up this great Super 35 camcorder.